Serhiy Leshchenko, a member of the Ukrainian Parliament, was a common thread involved in Democratic opposition research efforts into former Trump campaign Chairman Paul Manafort. Leshchenko, along with Artem Sytnyk, the director of Ukraine’s National Anti-Corruption Bureau, was responsible for publicly disclosing the contents of the Ukrainian “black ledger,” which implicated Manafort, to the media. Leshchenko also served as a source for various individuals, including journalist Michael Isikoff and DNC operative Alexandra Chalupa. In addition, Leshchenko served as a direct source of information for Fusion GPS—and their hired researcher—former CIA contractor Nellie Ohr. Ohr told congressional investigators on Oct. 19, 2018, that while she was working for Fusion, she was sometimes given leads from both Jake Berkowitz, her direct supervisor, and Fusion GPS co-founder Glenn Simpson. When asked if any Fusion research was based off “sources of theirs,” Nellie answered affirmatively but said the information that came from the sources wasn’t in relation to the Trump family. When pressed, Nellie said she recalled them “mentioning someone named Serhiy Leshchenko, a Ukrainian.” She later admitted she knew of Leshchenko prior to her time at Fusion as he was a “very well-known, Ukrainian, anti-corruption activist” and said she had followed him in the press. 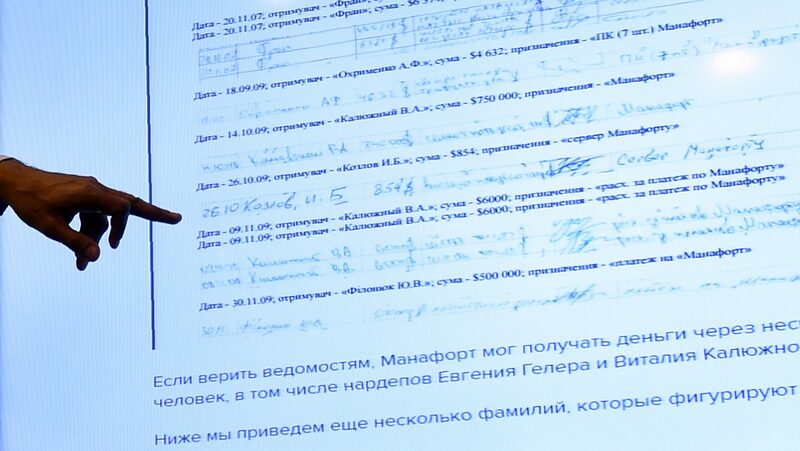 Leshchenko revealed the existence in 2016 of the so-called Ukrainian “black ledger,” which allegedly contained a list of secret payments made by Ukraine’s pro-Russian Party of Regions to Manafort among many others. Nellie Ohr said she wasn’t aware how the connection between Leshchenko and Fusion was established, or if they were doing work for him, but she did agree that Leshchenko was “a source of information” and acknowledged that she then used that information in following up and formulating her opposition research. Ms. Sachsman Grooms: You mentioned that, at some point, somebody from Fusion GPS told you that they were giving you a tip that was based off of a source that was a Ukrainian source, Serhiy Leshchenko. Is that right? Ms. Ohr: Yes. That they were—that they were giving me some information that had originated with him in some way. Ms. Sachsman Grooms: Do you recall whether that information related to Mr. Manafort? Ms. Ohr: What I’ll say is that at the time—at the same meeting, if I recall correctly, that his name came up, this piece of paper that lists Mr. Manafort’s flights was given to me, and I’m not—I don’t recall exactly right now whether they said this particular piece of paper comes from Mr. Leshchenko or not. At this point, the questioning abruptly moved on and no further questions involving either Manafort or Leshchenko were put forth. Ohr was never asked if she had ever met with Leshchenko directly. Another participant at the conference was DOJ official Lisa Holtyn, who was listed as a senior intelligence adviser at the DOJ Criminal Division’s Organized Crime and Racketeering Section. Notably, Holtyn is the same DOJ official Nellie Ohr included on many of her emails to her husband that contained her Russia-related research. Also present at the conference was Mark Galeotti, academic chair for the Center for Global Affairs at New York University, and Tom Kellerman, vice president of security awareness and strategic partnerships at Core Security Technologies. Nellie Ohr, while working for Fusion GPS, would later send emails to Bruce Ohr and Holtyn with Russia-related articles that contained quotes from both Galeotti and Kellerman, with Galeotti being more frequently referenced, but she made no mention of their mutual association from the conference in her emails. 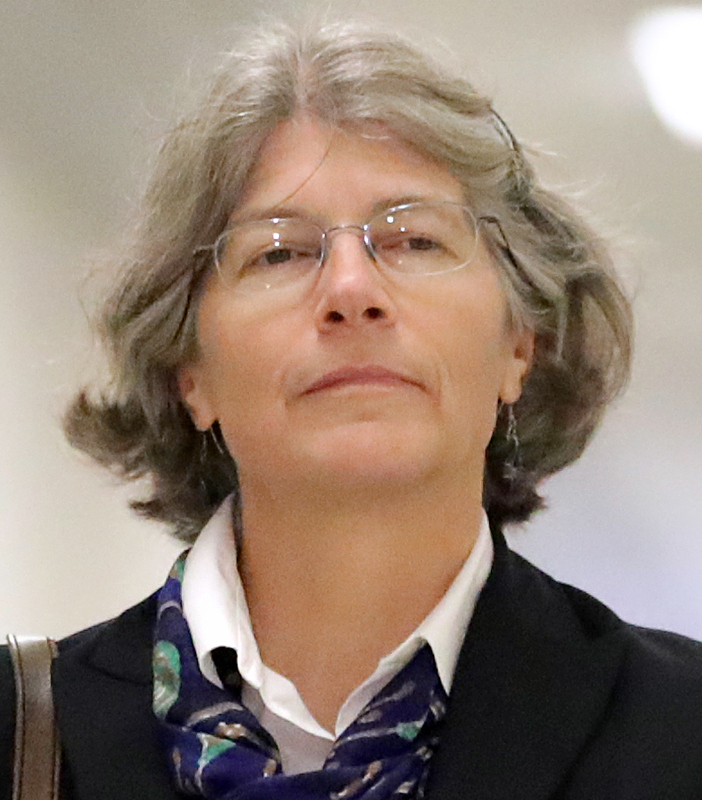 On May 30, 2016, Nellie Ohr sent an email to Bruce Ohr, Holtyn, Ivana Nizich, and Joe Wheatley—then both trial attorneys in the DOJ’s Organized Crime and Gang Section. Nizich had previously worked for Bruce Ohr. The email held a subject line that read “Reported Trove of Documents on Ukrainian Party of Regions’ ‘Black Cashbox.’” Within the email was the text from an article penned the day before by Nikolai Holmov, a blogger at Odessatalk, with the title bolded and enlarged. It also contained a link to the underlying article. “Documentation regarding that Party of Regions’ ‘chyornaya kasse’ has now seemingly found its way to NABU, the Ukrainian National Anti-Corruption Bureau,” the article stated. Interestingly, Holmov noted that no names or specifics have been made public “for now” as any such disclosure “could very well impede subsequent investigations by NABU.” A Ukrainian court later determined that a NABU official played a role in the leaking of documents to The New York Times. Nellie’s May 30, 2016, email would prove prophetic. It alerted officials within the Justice Department of a discovery that would have far-reaching implications for Manafort—and the Trump campaign—months before the news reached a national level. Manafort, the former campaign chairman for Donald Trump, would be famously implicated in the Black Box ledger scandal two months later and it would lead to his resignation from the Trump campaign. Manafort’s name was reportedly listed in the 400-page ledger 22 times, although his actual signature wasn’t authenticated and any payments made to him remain unverified. The documents implicating Manafort had been released by Serhiy Leshchenko. In a strange twist, it was reported by Politico in late February 2017 that a hack of the phone belonging to one of Manafort’s daughters revealed a text containing a blackmail threat that Manafort has attributed to Leshchenko. It’s not known with any certainty who actually sent the text, which contains an attachment that references “the Yanukovych accounting book” and lists an email address for Leshchenko. Leshchenko became the subject of an investigation in Ukraine and in December 2018, a Kyiv court ruled that Leshchenko, along with NABU Director Artem Sytnyk “acted illegally when they revealed that Manafort’s surname and signature were found in the so-called “black ledger” of ousted President Viktor Yanukovych’s Party of Regions,” the Kyiv Post reported on Dec. 12, 2018. The Hill recently reported that Ukrainian Prosecutor General Yuriy Lutsenko stated that he was opening “a probe into alleged attempts by Ukrainians to interfere in the 2016 U.S. presidential election.” Surprisingly, the report, which focuses on Sytnyk, makes no mention of Leshchenko—or of the December court ruling which determined that both Leshchenko and Sytnyk violated Ukrainian law. According to a Jan. 11, 2017, investigative article by Politico, headlined “Ukrainian Efforts to Sabotage Trump Backfire,” Democratic operative Alexandra Chalupa had been investigating Manafort and his work in Ukraine since 2014. In late 2015, Chalupa expanded her research into Manafort to include the Trump campaign and possible ties to Russia. In January 2016, Chalupa informed an unknown senior DNC official that she believed there was a Russian connection with the Trump campaign. Notably, this theme would be picked up by the Clinton campaign in the summer of 2016. Chalupa also told the official to expect Manafort’s involvement in the Trump campaign. Chalupa’s forecast proved prescient, as Manafort reached out to the Trump campaign shortly after, on Feb. 29, 2016, through a mutual acquaintance, Thomas J. Barrack Jr. According to Manafort, he and Trump hadn’t been in communication for years until the Trump campaign responded to Manafort’s offer. On March 28, 2016, Manafort was hired by the Trump campaign. 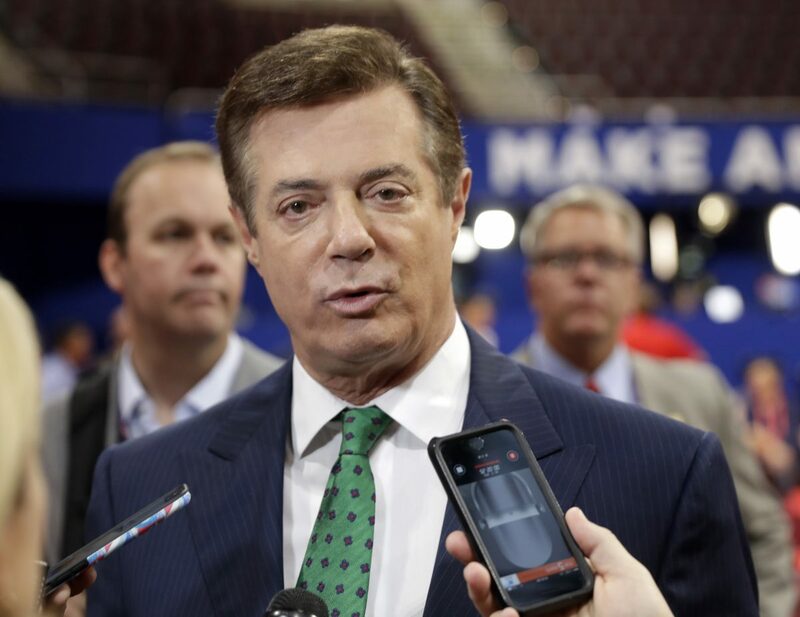 He was reportedly initially hired to lead the Trump campaign’s delegate effort, but was soon promoted, and on May 19, 2016, Manafort became Trump’s campaign chairman and chief strategist. Just days prior to Manafort’s hiring, on March 24, 2016, Chalupa spoke with the Ukrainian ambassador to the United States, Valeriy Chaly, and told him of concerns she had regarding Manafort. Reportedly, her concerns were initially rebuffed as Chaly didn’t think Trump had a real chance of winning the presidency. According to Politico, the day after Manafort’s hiring, Chalupa provided a briefing on “Manafort, Trump and their ties to Russia” to the DNC’s communications staff. Notably, “with the DNC’s encouragement,” Chalupa asked the Ukrainian Embassy staff to attempt to arrange an interview with Ukraine President Petro Poroshenko and have him discuss Manafort’s ties to former Ukrainian President Yanukovych. The Ukrainian Embassy reportedly declined the request but, according to Chalupa, did begin working with reporters who were researching Trump. Andrii Telizhenko, who worked in the Ukrainian Embassy under one of Chaly’s top aides, Oksana Shulyar, has repeatedly stated that Chalupa was working closely with the Ukrainian Embassy to obtain information on Trump. The “Democratic operative” refers to Chalupa, while the “Ukrainian lawmaker” refers to Leshchenko. On April 26, 2016, Yahoo News investigative reporter Michael Isikoff published a story about Paul Manafort’s business dealings with Russian oligarch Oleg Deripaska. The Isikoff article referenced an investment fund, Pericles Emerging Markets, which was started by Manafort and several partners in 2007. According to The New York Times, Deripaska was the financial backer of the fund and agreed to commit as much as $100 million, although he apparently only invested $18.9 million in 2008 to finance the purchase of Black Sea Cable, a Ukrainian telecommunications company. Pericles is now defunct, and Deripaska sued Manafort in a Cayman Islands court, seeking to recover his investment. This same transaction would later be referenced in the Aug. 14, 2016, New York Times article that reported the alleged payments to Manafort from the Party of Regents’ black box. On April 28, 2016, Chalupa appeared on a panel to discuss her research on Manafort with a group of 68 Ukrainian investigative journalists gathered at the Library of Congress, for a program sponsored by a U.S. congressional agency called the Open World Leadership Center. Isikoff is the same reporter who published an article about Trump campaign foreign policy adviser Carter Page on Sept. 23, 2016. The article, headlined “U.S. Intel Officials Probe Ties Between Trump Adviser and Kremlin,” was based on an interview with Christopher Steele. Isikoff’s article would later be used as corroborating information by the FBI in the FISA warrant application on Page. On Aug. 14, 2016, The New York Times broke their blockbuster story alleging that payments to Manafort had been uncovered from the Party of Regents’ “black box”—the 400-page handwritten ledger released by Leshchenko. The article proved to be a fatal blow for Manafort, who resigned from the Trump campaign just days later.